Depending on your outlook, spring is a decent time to visit Krakow, one of Poland's most popular and prominent cities. Although temperatures will still feel chilly, especially in the evenings and on cloudy days, the weather is much milder than the frigid winter months. Krakow will be sleepy in March, with fewer tourists and visitors—but on the plus side, that means fewer crowds to deal with, and you'll have the city's most popular sites almost all to yourself. Although March is technically the beginning of spring, expect the weather to still be pretty cold. The good thing about March is there is very little precipitation, averaging only 1.5 inches of rain throughout the whole month. (In contrast, you can expect many showers in May, so visit March if you prefer to stay dry when seeing the sites outside.) While days last almost 12 hours on average in March, the month only sees about four hours of sunshine per day on average. March weather is variable all over East Central Europe, so keep this fact in mind when you pack for your trip. You'll want a coat that will keep out the cold, as well as a scarf, gloves, and a hat. If you see rain in the forecast, bring an umbrella, waterproof shoes, and a windbreaker. Note: Most Europeans dress in muted colors (think: gray and black) come March, so leave the clunky sneakers and bright prints at home if you want to blend in. There are many holidays and festivities happening in Krakow come March. Make sure to plan ahead so you don't miss out on the fun. Krakow Easter Market: If Easter falls during March, check out this renowned market, which takes place on the main square. Easter in Krakow is a meaningful, culturally significant event with many events and traditions associated with it. Misteria Paschalia Festival: If Holy Week occurs in March, you'll have the chance to catch this classical and historical music concert, held in churches and the Krakow Philharmonic. Bach Festival: A weeklong celebration of classical composer Johann Sebastian Bach is one of the many musical events in Krakow, and admission to the daily concerts is free. ​The Drowning of Marzanna: This pagan ritual offers Poles a way to say farewell to winter. It takes place on the fourth Sunday of Lent. March has good potential for travelers who want to avoid crowds and don't mind a bit of a nip in the air. 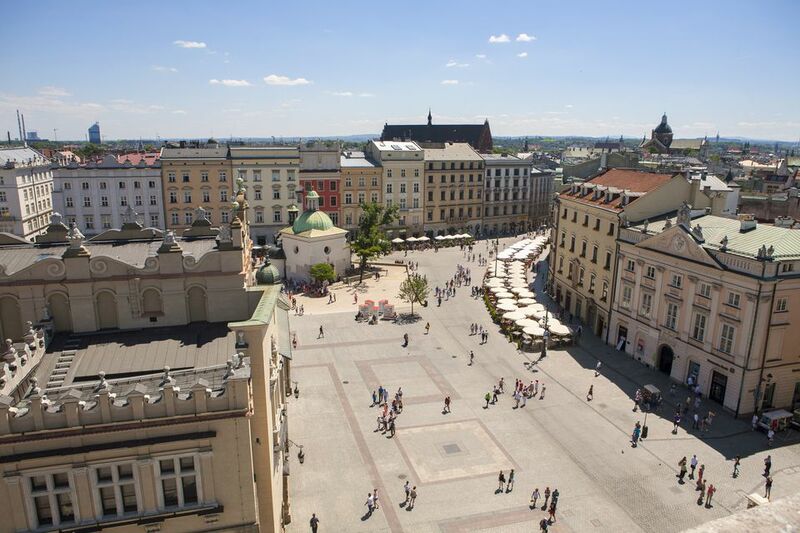 Tourists flock to Krakow in the springtime, but not in the droves typical of summer. Just outside Krakow, you'll find many ski areas that are open from December through March. The small mountain village of Zakopane—in Tatra National Park—is one of the most popular. It's a two-hour drive south of Krakow. Carry a compact umbrella while trekking around Krakow in March, as sudden showers can pop up but won't completely wipe out portions of your trip.